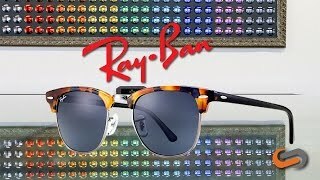 The Ray-Ban Clubmaster RB3016 sunglasses are timeless frame that feature a retro look. The Clubmaster RB3016 sport a unique style with wire under frame design and a metal nose bridge. The RB3016 49 eyesize is a frame made for those with a smaller face lookin’ to make a statement. 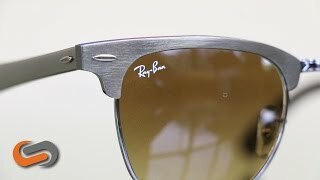 Need a pair of Ray-Ban Clubmaster prescription sunglasses? SportRx has you covered! Order yours today online at SportRx or over the phone with an optician, and you’ll be on your way to experiencing the best Ray-Ban Clubmaster RB3016 49 eyesize prescription sunglasses.